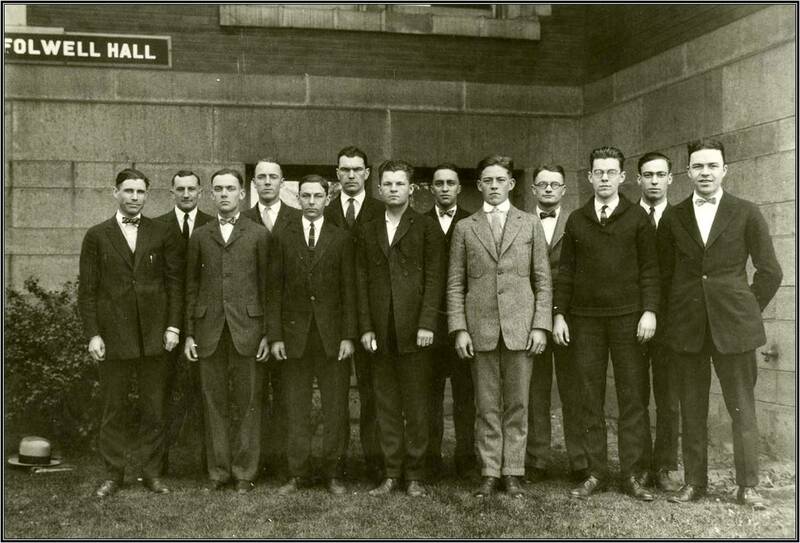 With the moral and financial support of both the City of Minneapolis YMCA and the St. Paul YMCA, 13 charter members, including student Franklin H. Bassett, created the University of Minnesota YMCA to meet the spiritual needs of the men on campus. Established in the Men's Union building on campus at 13th Avenue S.E., the early years were spent focused on "bringing young men to God, through Jesus Christ." But as the University community expanded, so too did the mission of the U-YMCA. The University branch was devoted to its particular core community - academic - and served to provide the necessary services for new students: welcome, orientation, campus tours, counseling, printing and distributing student handbooks for all incoming students. The University of Minnesota branch was organized separately from the Minneapolis YMCA organization, as an independent association in 1887. Originally located on 13th Avenue between 4th and 5th streets, in 1889 the branch moved to a small building on campus which later housed the Institute of Child Welfare, SCA, and music. At the turn of the century, the University of Minnesota made the UY responsible for a lot of the enrollment responsibilities and as the programs got too large for the UY staff to handle, the University took over their operation. But by 1916, it was recognized by Ralph Garner, General Secretary from 1915-1919, that it would serve the organization better to have their own building, and began a campaign to raise funds. 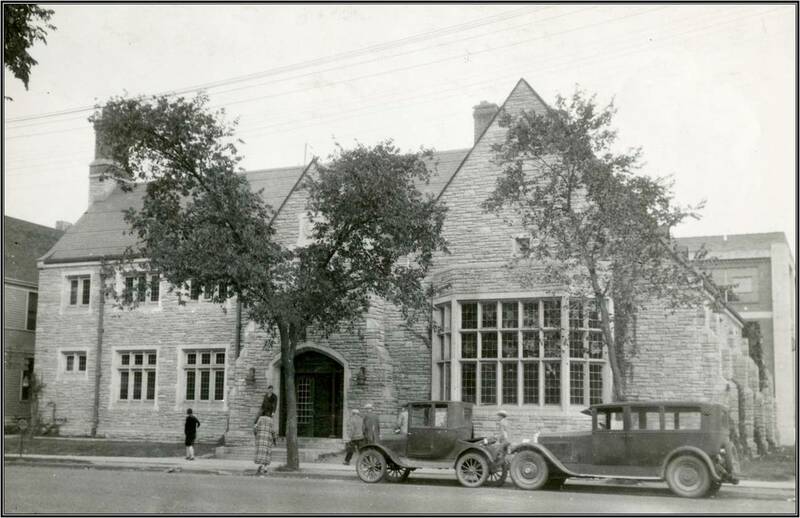 In 1917, the University branch became an official part of the Minneapolis Y organization. World War I interfered with this plan for a YMCA-owned building on campus, but in 1923 a building was constructed at 1425 University Avenue S.E. 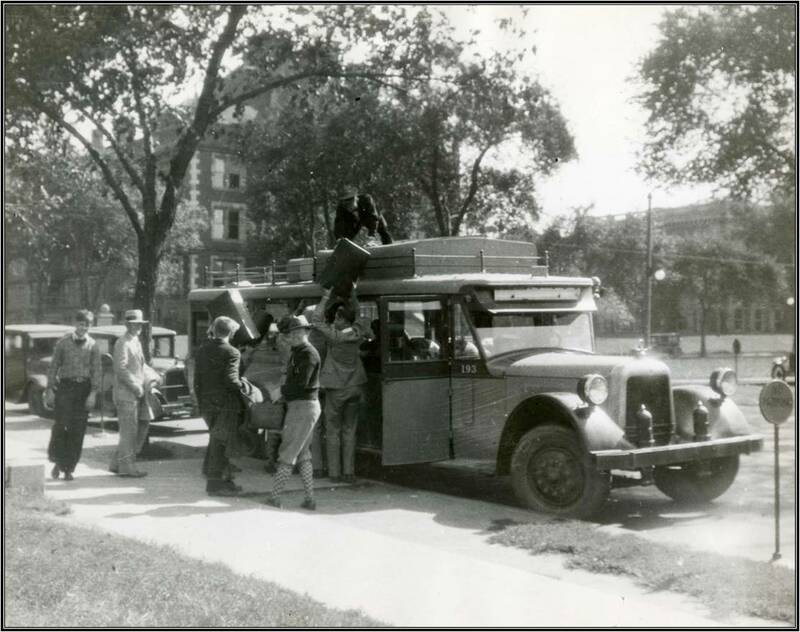 The federal government's Student's Army Training Corps (SATC) was mobilized on the University of Minnesota campus in August 1918. The program was designed to use state universities and colleges for military training of draft-age men, and 6,000 troops were trained on campus. All student activities were discontinued, and fraternities were closed down in order to provide rooms for the servicemen. During the first world war, the YMCA becomes a hub of activity, hosting a variety of recreational activities designed to boost morale, including games, dances, and visits to hospitalized servicemen, as well as a forum for discussion on the war effort. The U-YMCA reached its peak membership, with nearly 1,000 students participating. 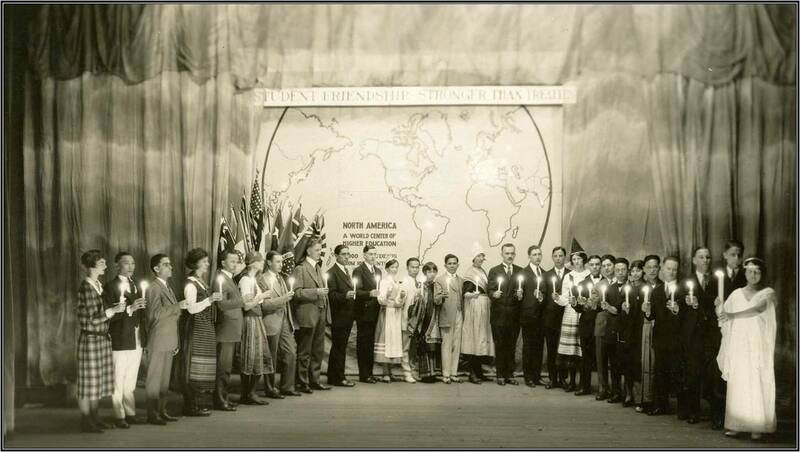 The effects of World War I were still felt, and the YMCA-U responded to an interest in world affairs and international issues by expanding programs to meet those needs. Good, student leaders were in short supply, and consequently weekend retreats at Camp Edgewood on Lake Minnetonka were established to help train select student leaders. Freshmen Camp also began during this decade, a highly successful program designed to encourage incoming freshmen to establish a community and become strong leaders for the University in student government and through the Greek system. The Great Depression of the 1930s impacted the campus as it did every other facet of American life. Enrollment declined at the University of Minnesota and war in Europe created continued concerns over world events for students. The U-YMCA became active in peace and civil rights issues, such as the Peace of Caravan program in 1936. The program organized by students provided skits and radio plays to educate the public. Beyond world concerns, programs devoted to managing daily life, including: marriage classes; literary Sunday nights where University professors hosted talks and lectures; Fortnightly dances; and friendship-based Common Club. Membership steadily declined during the 1950s and 1960s to under one hundred students, however the University YMCA branch continued to engage in programs designed to positively impact students, which are uniquely different from the rest of the Minneapolis Y branches. 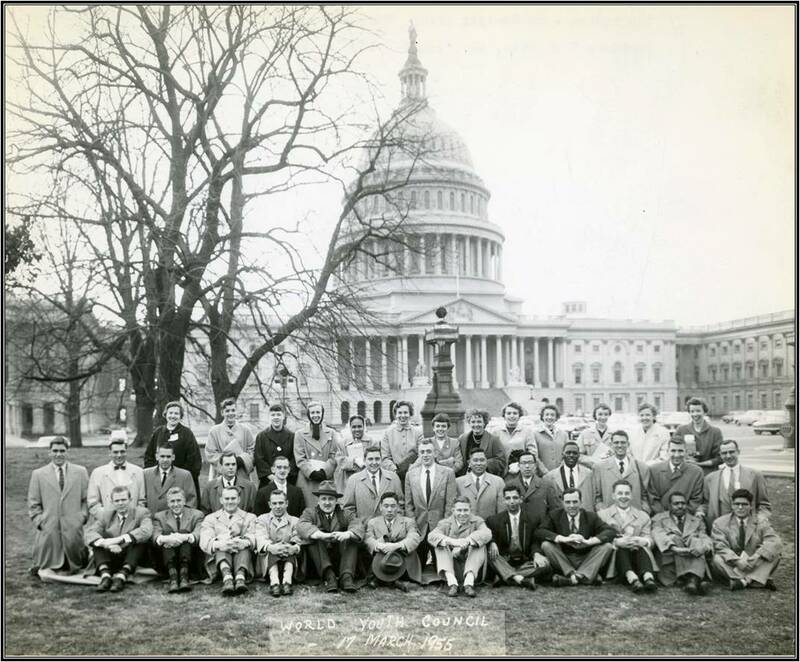 In 1963, for example, Project Motivation launched full-scale, providing university students as mentors for disadvantaged fourth, fifth, and sixth graders in the community. The "Eight Weeks to Live, Eight Weeks to Die" program was also established during that time, where students were provided a scenario: they have eight weeks to live, must plan for their funeral, will, and say goodbye to friends and family. The program goal was to help students clarify what is truly important to them. And in 1964, the U-YMCA opened its membership to include women, who had previously involved with the U-YWCA. Additional programming focused on the intersection between community service and reflective learning were designed, including Project Motivation, Project Friendship, and Freshmen Council. Due to the high costs of maintenance and repairs, the old U-YMCA building was sold to the University in 1968. The organization rented space in the same building until 1982, when the branch moved to 1901 University Avenue S.E. During the 1980s, the U-YMCA developed programs to fill the gap "between a resourceful student population and a metropolitan community in need." In 2000, the University branch relocated again, this time just down the street to 1801 University Avenue S.E. While the evolution of unique programs and services at the University of Minnesota branch continues, the core focus - developing the students in the YMCA model, remains. The University of Minnesota YMCA's mission includes developing the "ethical leadership capacities of students in a context of social issues, by combining cross-cultural and community-based experiences with reflective learning." The Metro Internship program represents this outlook, providing students with a local organization internship experience combined with reflective leadership and values learning. Community outreach continued, with various mentoring programs such as Y-Buddies, Y-Buddies, Y-Cap, and Y-Scholars programs. The Y-Tutors program partners with the federal initiative "America Reads" to increase literacy for urban students in the Twin Cities, with the goal of reading by 3rd grade. Y-Scholars attempts to promote and prepare middle and high school students for higher education, including college visits, navigating school financial aid process, and training to help nurture higher education choices. 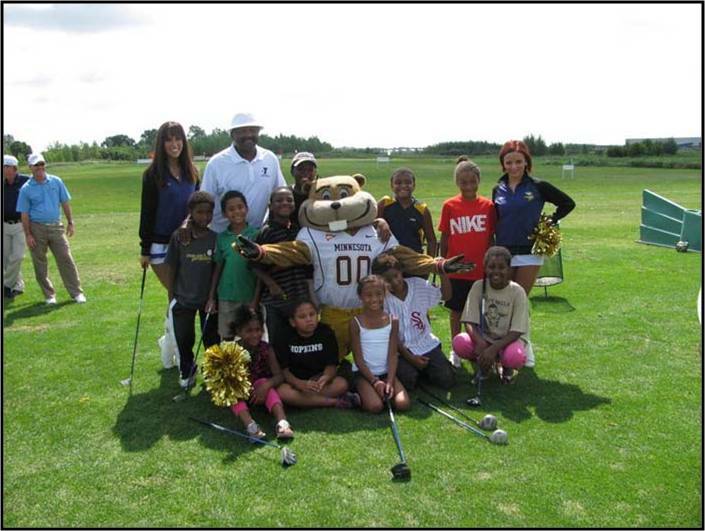 The Y-Buddies program is a U-YMCA extension of youth development by providing mentoring and friendship to urban children and teens through events, such as cookouts, trips to the zoo, and museum visits. Y-CAP, the college achievers program, began in the 2010-2011 school year, designed to provide networking seminars with local professionals, motivational guest speakers, in order to develop a better campus organization in a global context. Today in the 2013-2014 school year, University YMCA continues to create new and innovative programs and initiatives to support college student development, both personally and professionally.